Interested in having your music featured in TV and video games? Check out a special workshop focused on music licensing and placement on Friday April 4th, 2014 at Dubspot NY. 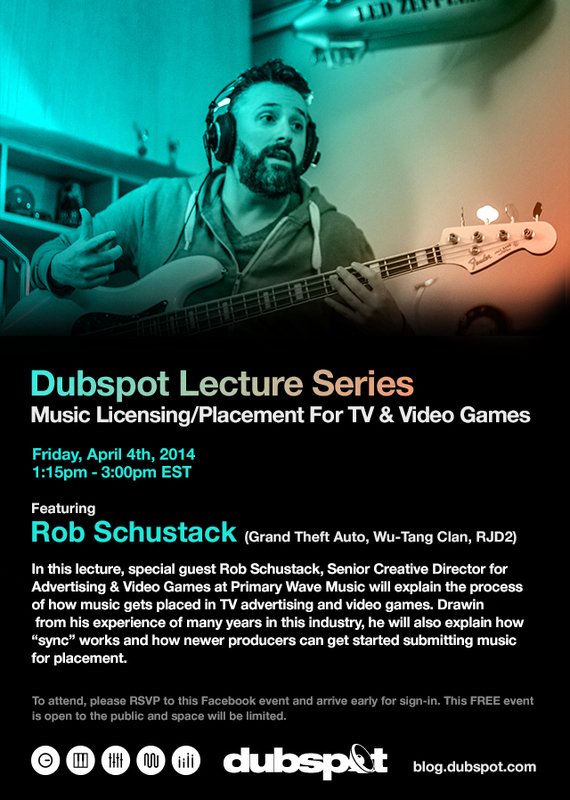 In this lecture, special guest Rob Schustack will explain the process of how music gets placed in TV advertising and video games. Drawing from his experience of many years in this industry, he will also explain how “sync” works and how newer producers can get started submitting music for placement. This workshop is FREE and open to the public. Please RSVP on our Facebook event page. Rob Schustack is Senior Creative Director of Advertising & Video Games at Primary Wave Music.